Google has hired Injong Rhee, who recently resigned as Samsung Electronics’ chief technology officer, to lead its Internet of Things (IoT) business, the new Googler said in a LinkedIn post Monday. Google spokeswoman Jane Hynes confirmed Rhee's hiring by Google's cloud computing unit, but declined to comment further. Rhee said in his post that he will serve as entrepreneur-in-residence under Diane Greene, chief executive of the cloud computing group, which sells software and hardware to other businesses. Rhee said he aims to harmonise Google parent, Alphabet's various projects related to IoT. "One of the first things I would like to do with my Google colleagues is to get these efforts coordinated and aligned toward a concerted IoT story of Google -- in the process, create distinct consumer and enterprise product lines," Rhee wrote in his post. Each of the leading cloud computing sellers, including Amazon.com Inc, Microsoft Corp, Google and IBM Corp, offer services aimed at helping companies analyze data from a network of Internet-connected equipment. Google's effort is among the most nascent, though. Rhee left Samsung in December after more than six years there, most recently serving as a chief technology officer and head of software and services' research and development. 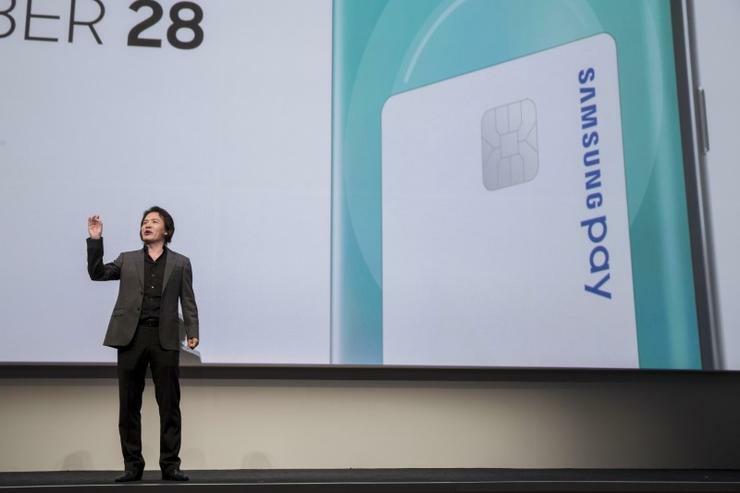 He was involved in the launch of the company's Knox security system, Bixby digital assistant and Samsung Pay mobile wallet.